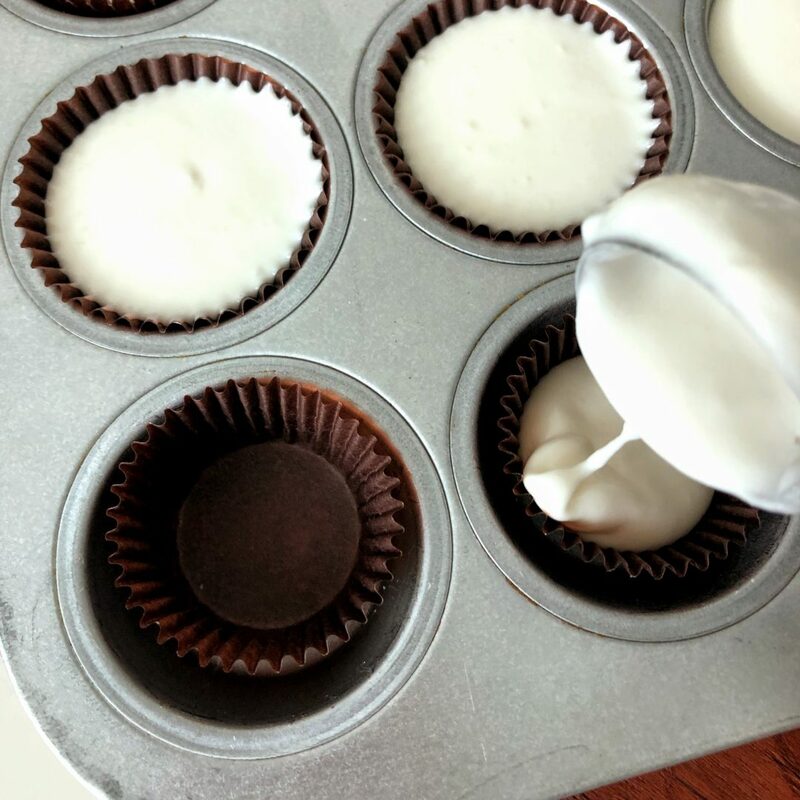 The secret for perfectly uniform cupcakes is using a scoop for distributing precise portions of batter. 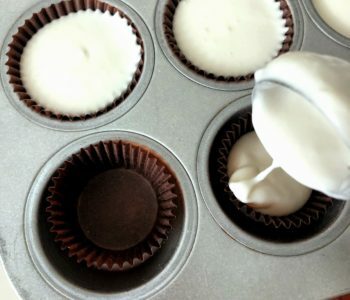 With your cupcake liners filled exactly the same, your cupcakes will all bake to the same size. But, with a multitude of scoop sizes available, which one will make the best cupcake? Scoops or Food Dishers (as they are called in the restaurant world), are available in a variety of styles. 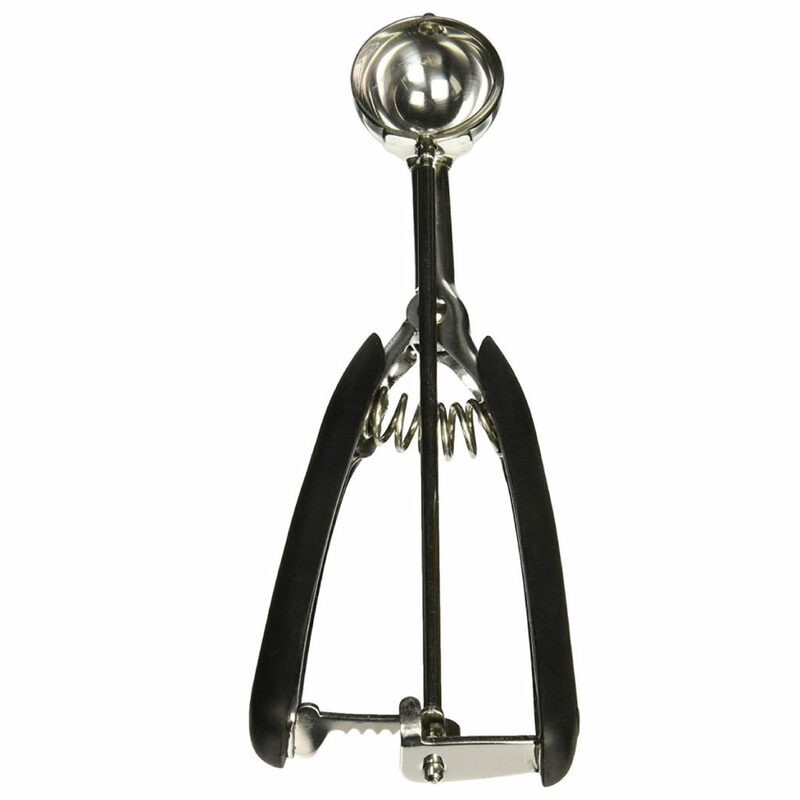 Squeeze handles or thumb levers are the most common styles of food dishers. Both styles offer the same reliable results. You may find one style more desirable than another, based on your personal preferences. 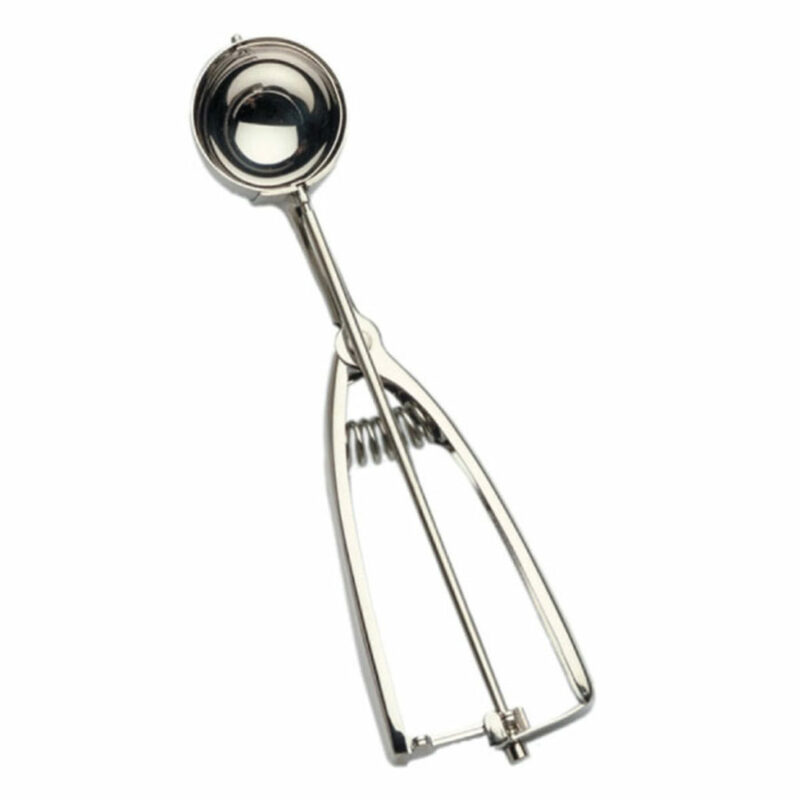 The top seller at Orson Gygi is the Stainless Squeeze Grip Scoop. They fit well in your hand and are very easy to squeeze. The Thumb Dishers require a bit more of a stretch with your hand, but they seem to be sturdier, with the cog and wheel skipping less often. OXO also makes a great product, with comfy grips and reliable results. 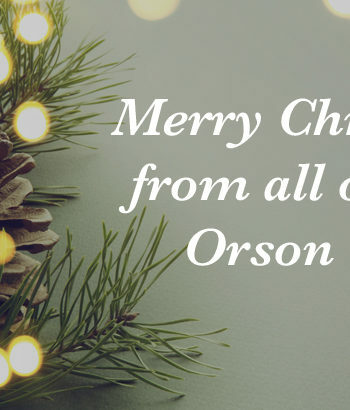 We sell 13 sizes of scoops at Orson Gygi, ranging from 2 tsp to 10 T in volume. 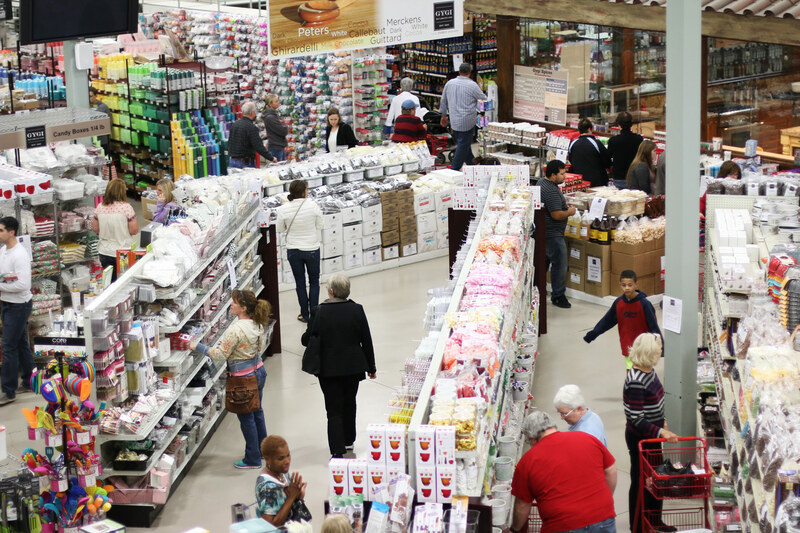 Scoops are classified by a standardized numbering system. The number is based on the number of scoops you could make from one quart of ice cream. So, the smallest #100 scoop would make 100 scoops of ice cream. The largest #6 scoop would make 6 scoops of ice cream from one quart. Therefore, the smaller the number, the larger the scoop! 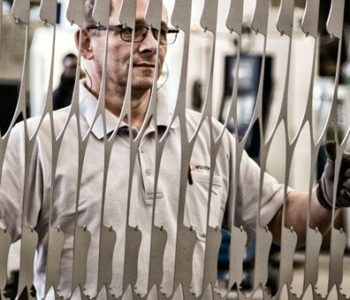 We’ve put together a handy chart to help you understand a little more about food disher sizing. Using this chart, you can buy a scoop that will perfectly meet your needs! It will also help you decipher what size scoops you may already have hiding in your drawers at home. 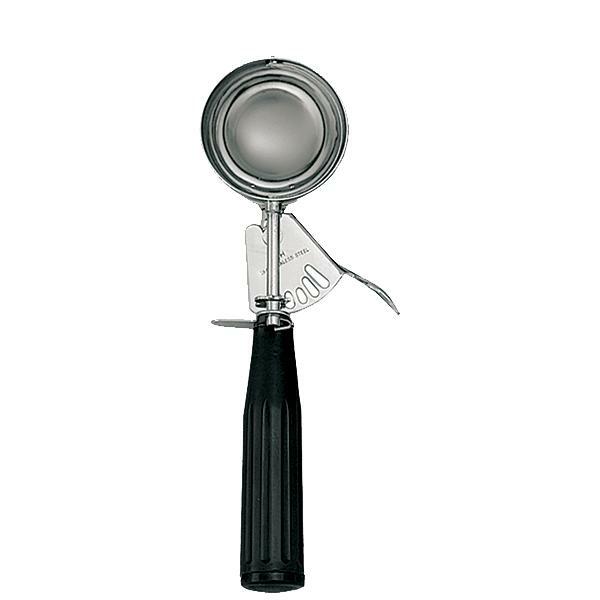 Learn more about food disher sizing here. In true Gygi fashion, we wanted to put the scoops to the test. (Just like we’ve done with Vanilla Extract and Cake Pans). 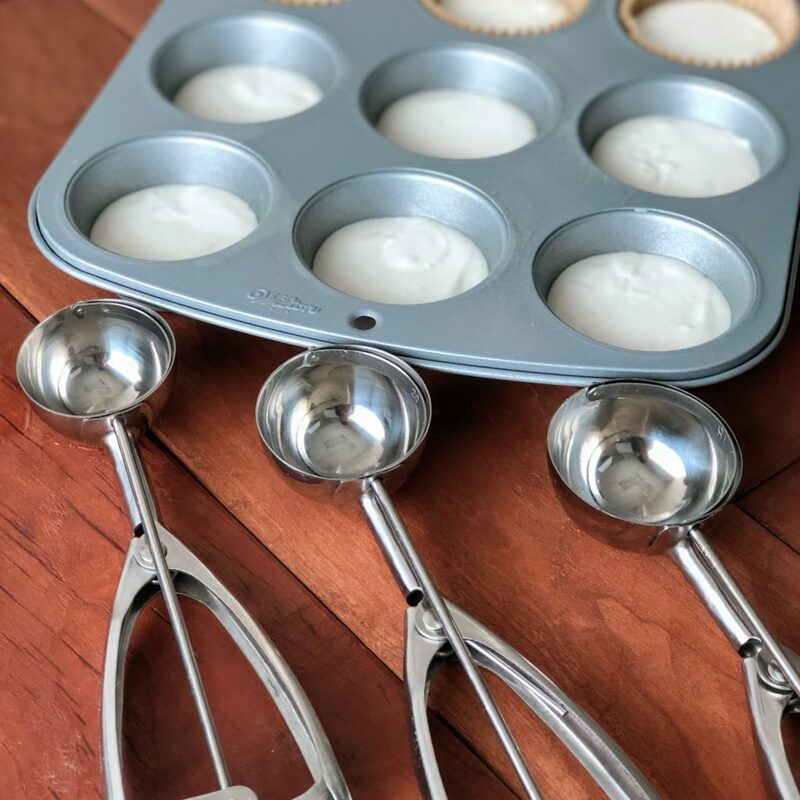 So, we mixed up a batch of our trusty Krusteaz White Cake Mix, with the intent of finding which scoop would make the best looking cupcake. 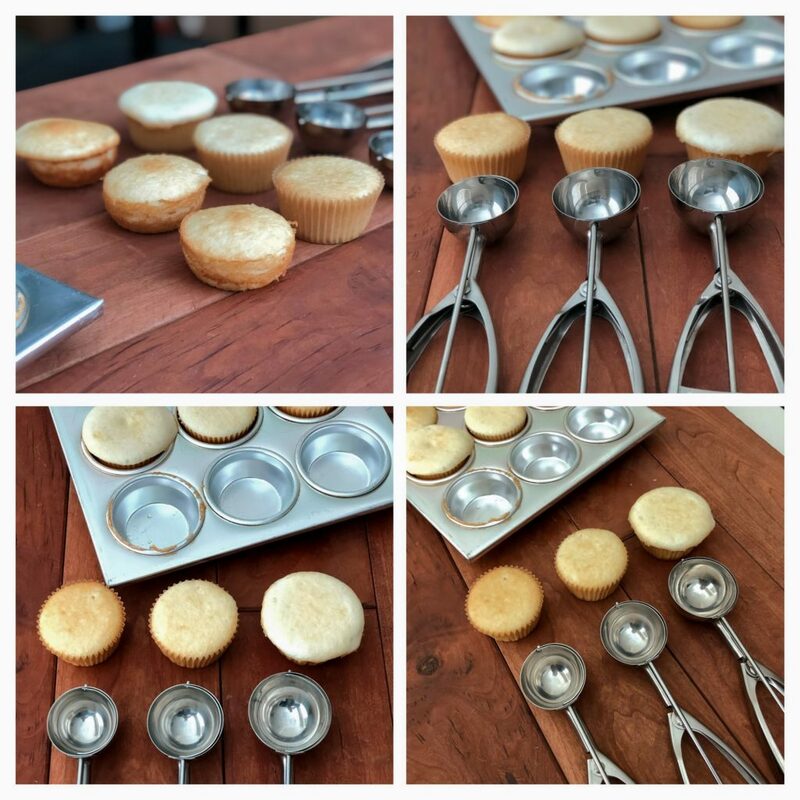 We tested two different styles of cupcake; mini sized and standard sized. 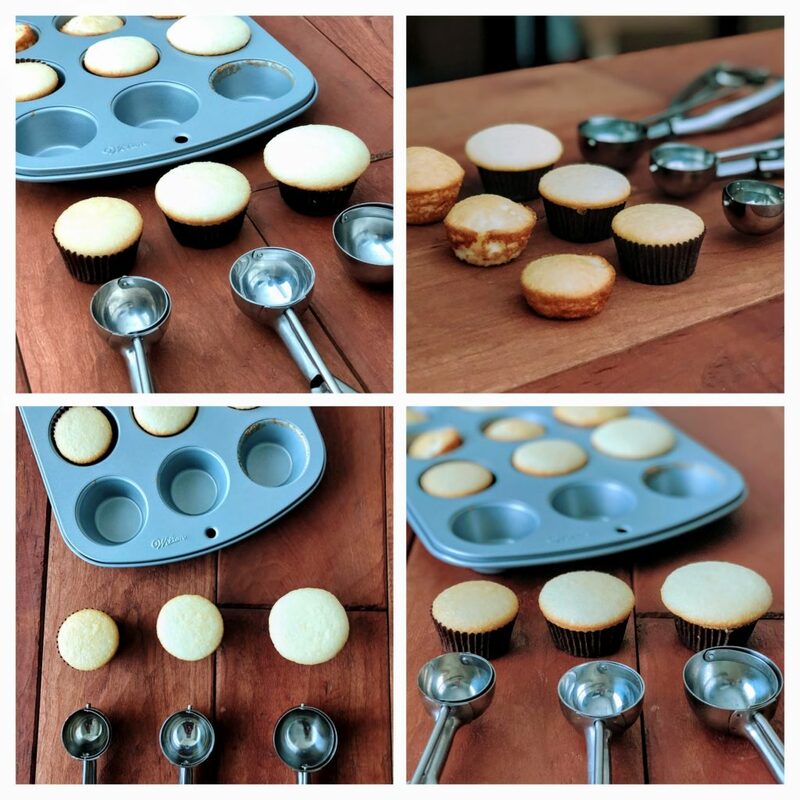 We used three scoops for each style of cupcake. The general recommendation for standard cupcakes is 3 Tablespoons, so we used a #20 scoop (it holds 3 T). We also tested one size smaller (#24) and one size bigger (#16). 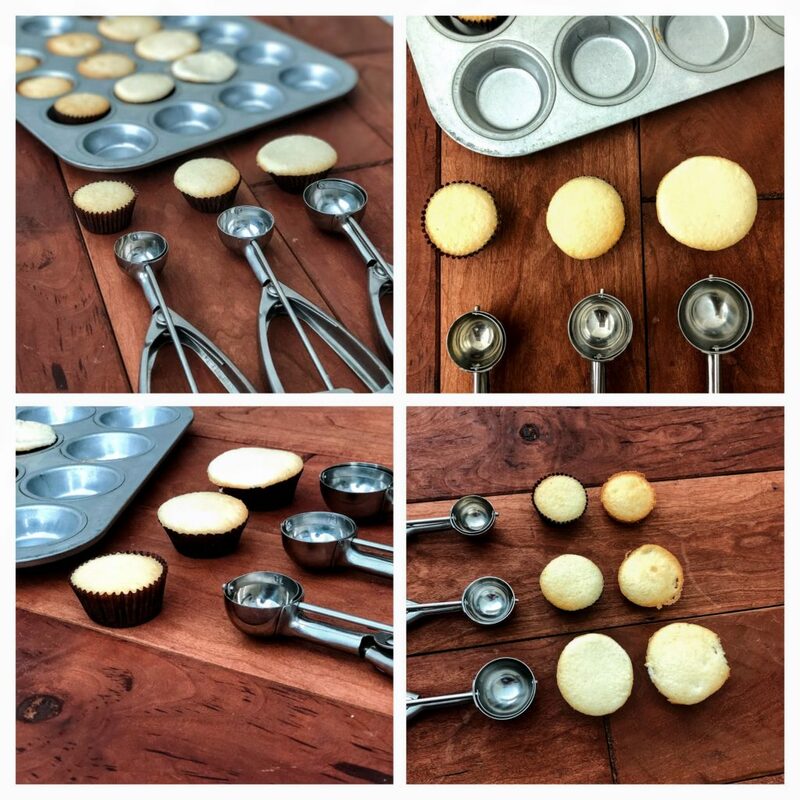 The recommendation for mini cupcakes is 1 Tablespoon of batter, which is a #60 scoop. So, we tested #70, #60, and #50 scoops. We also tested baking in the pan and in the cupcake liner, to see if it impacted the outcome of the cupcake. 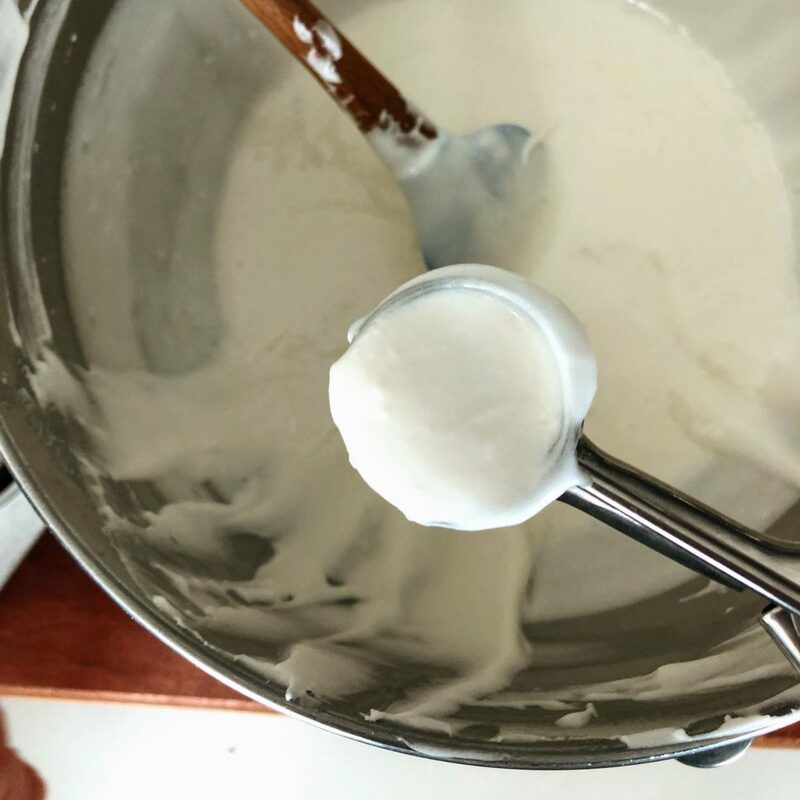 We meticulously scooped the batter from the bowl and scraped the excess off the top and sides of the scoop the ensure our portions were as uniform as possible. We then placed the batter in the pans and baked them in a 350℉ oven. Before we jump into the results, let me talk to you about muffin tins/cupcake pans. First, there is a wiiiiide variety in size and style of cupcake pans. They generally to fall into one of two categories. First, is a taller, more slender cup with straighter sides. The other style is wider and shorter with more angled sides. 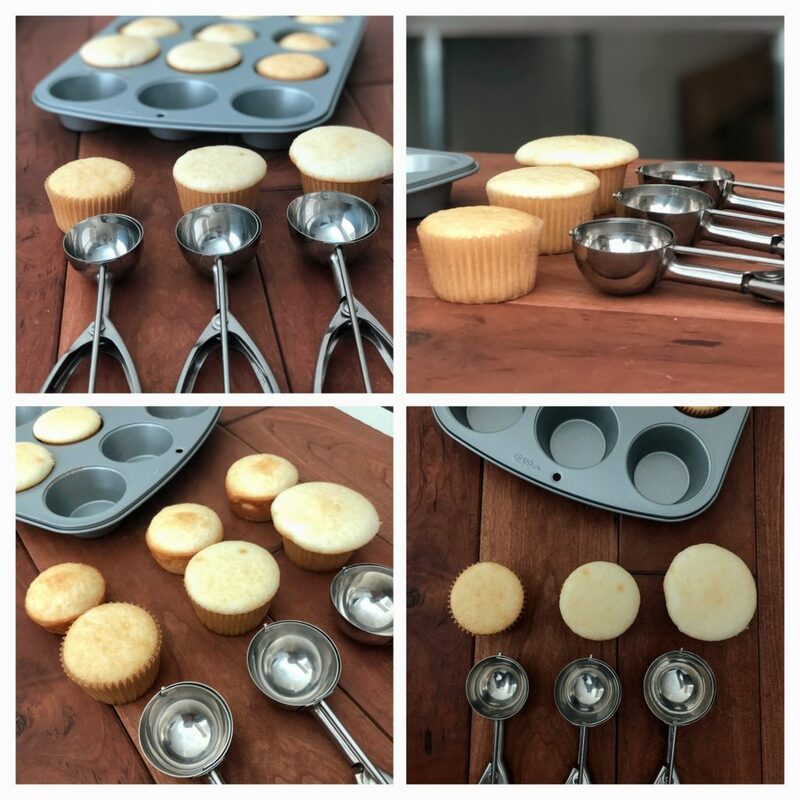 These two styles of pans produce different shaped cupcakes! We wanted to test the scoops in both styles of pans. The results were definitely different. I think you’ll be surprised. Considering the difference in volume between the scoop sizes is just about a teaspoon, I was uncertain if we would have any results to report! I didn’t know if it would actually impact the cupcakes! Ooooooh! There were definitely differences. Mini Chicago Metallic pan. The small scoop is #70, the middle scoop #60, and the largest scoop, #50. 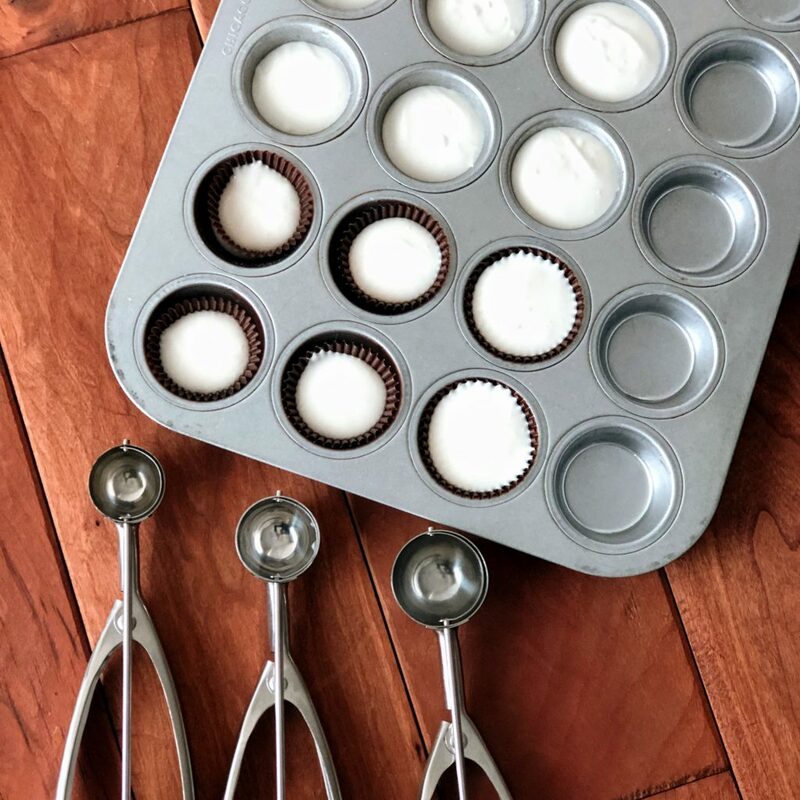 Mini Wilton Pan. Left to Right: #70, #60, & #50. 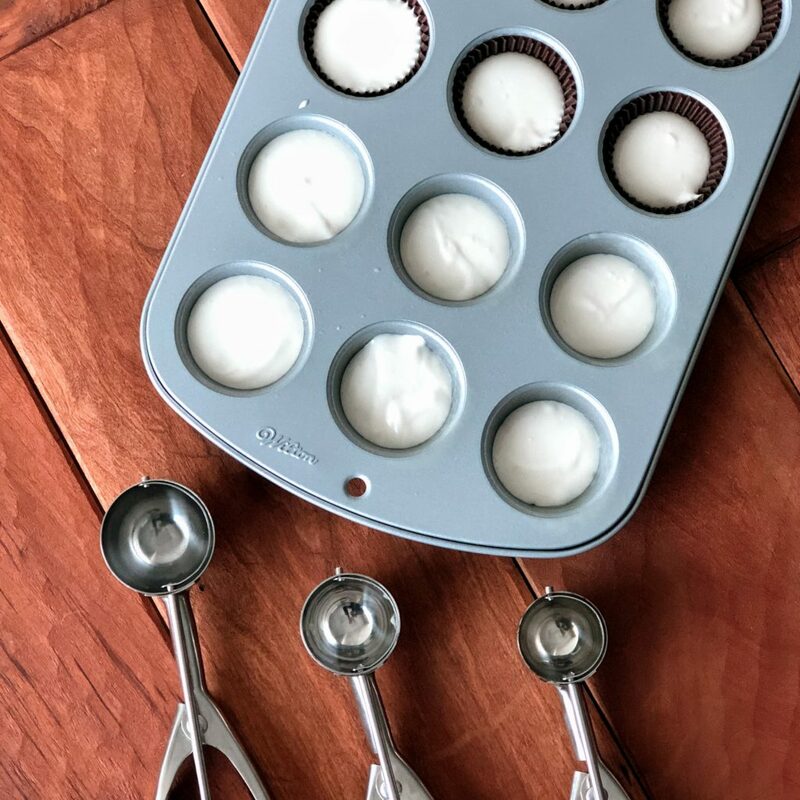 We love the #60 scoop for the mini cupcakes with the liners. It was the perfect dome! This scoop holds one tablespoon of batter, which is the generally recommended amount batter. Our experience was that the #70 wasn’t quite filled all the way. And the #50 overflowed over the edge, which was messy looking. For the cupcakes with no liner, the #50 seemed to be the best. 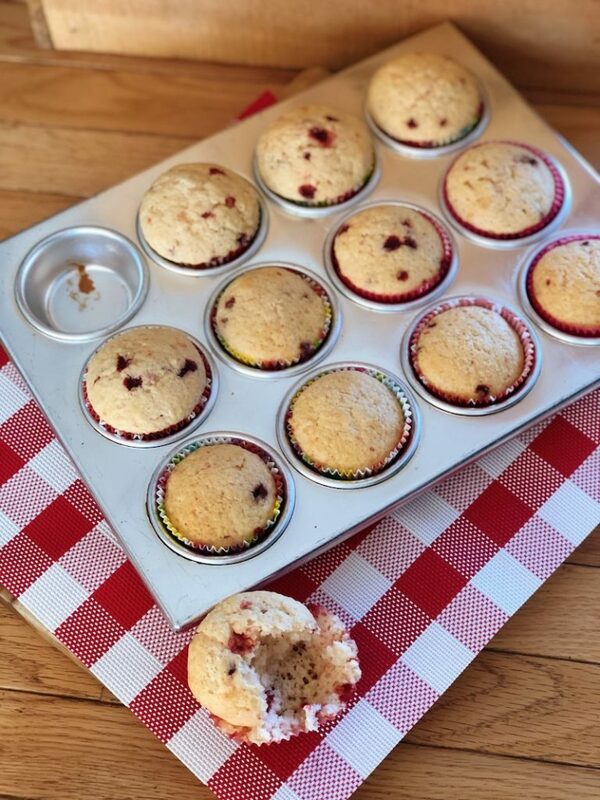 I’d reach for this if I was making mini muffins with no liners. But I don’t see the #70 being a good option for either style of cupcake or muffin. We also loved the look of the cupcakes that came from the Mini Wilton pan. The cup is more slender, with straighter sides. The cupcakes from this pan were perfect! 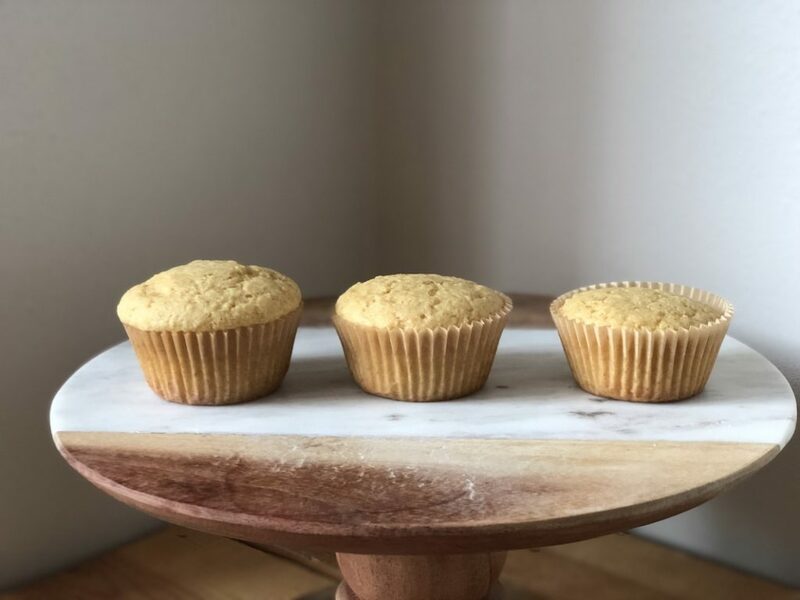 The other pan produced cupcakes with more angled sides. These cupcakes were not as pretty! 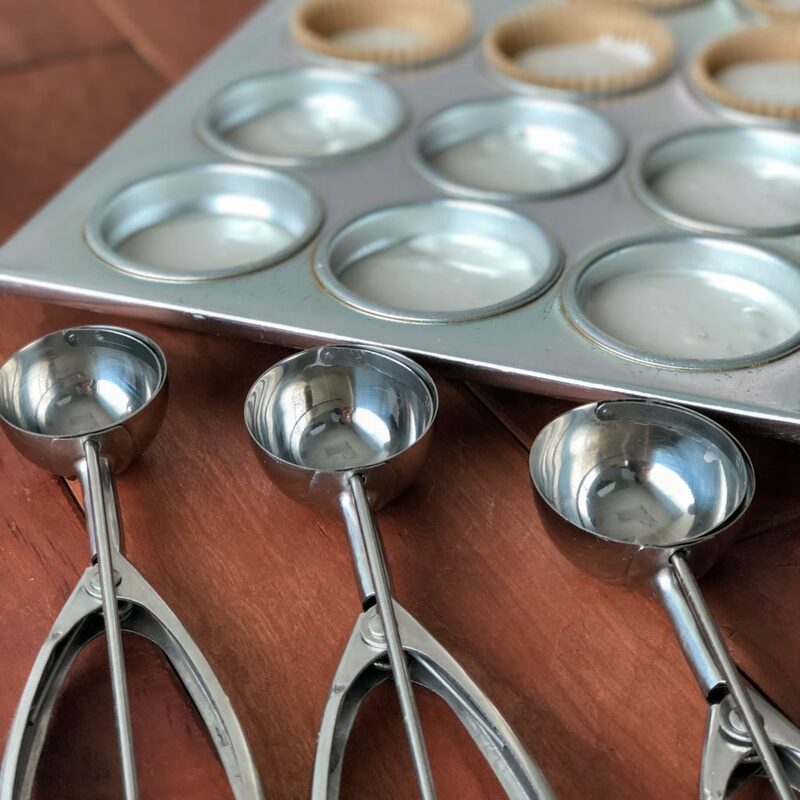 Again, our favorite scoop for the cupcakes with liners was the scoop that distributed the recommended amount of three tablespoons. That was the #20 scoop. The #24 scoop was lacking. And the #16 was overflowing. So, stick with the #20 scoop if you are using liners! The cupcakes with out liners were satisfactory with the #20 or the #16, but the #24 was too small! 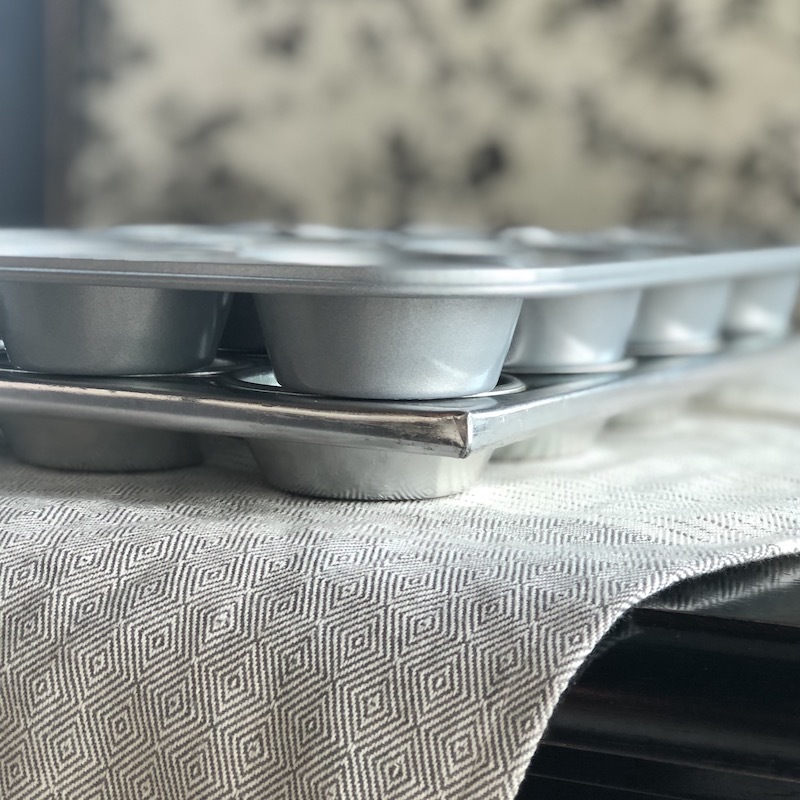 We also preferred the cupcakes from the pan with straighter sides, the Wilton Standard Muffin Tin. The pan from Libertyware had angled sides, which we didn’t care for. The cupcake baking was just the first step in a week-long exploration! I took the pans and scoops home to further test them. I wondered if other recipes would have the same results. 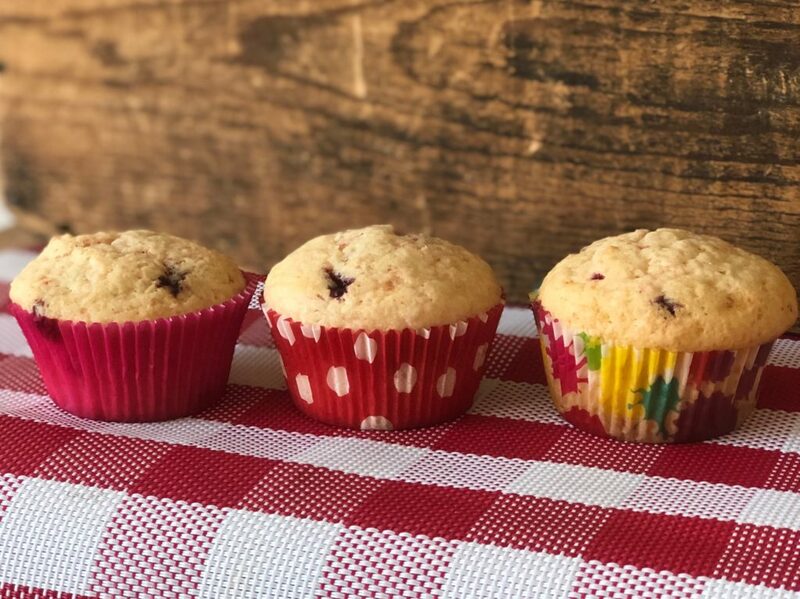 We made Raspberry Muffins and Corn Bread Muffins using the #24, #20, and #16 scoops. I liked both the #20 and #16 scooped muffins. And, no surprise… the #24 was too small. Alright. Which scoop is best? When it comes to the standard sized cupcakes and muffins, I liked the #20 scoop best of all. It was the absolute best in our cupcake test. 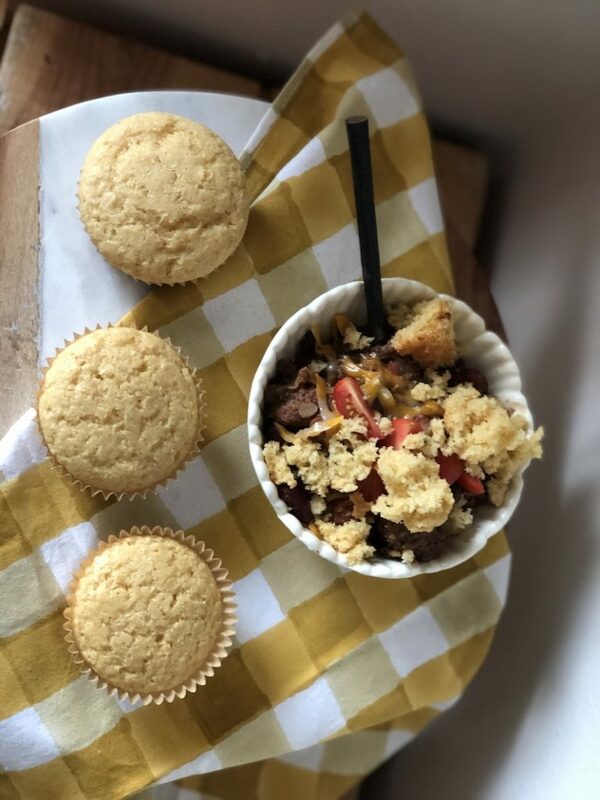 It also performed well with the muffin recipes we tested. 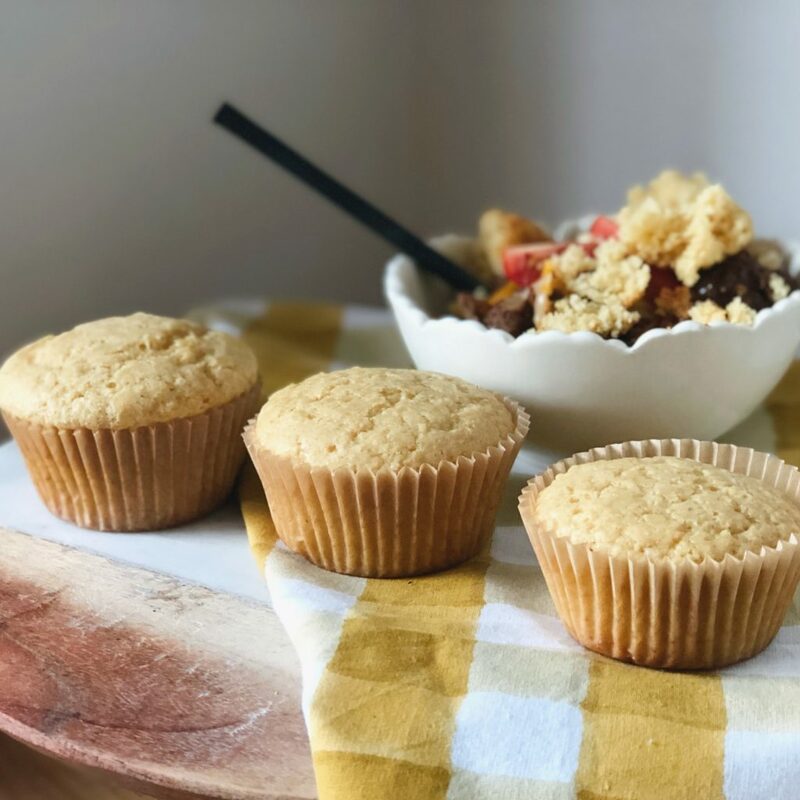 If you have the space for two scoops, I would suggest buying a #16 scoop for taller muffins. 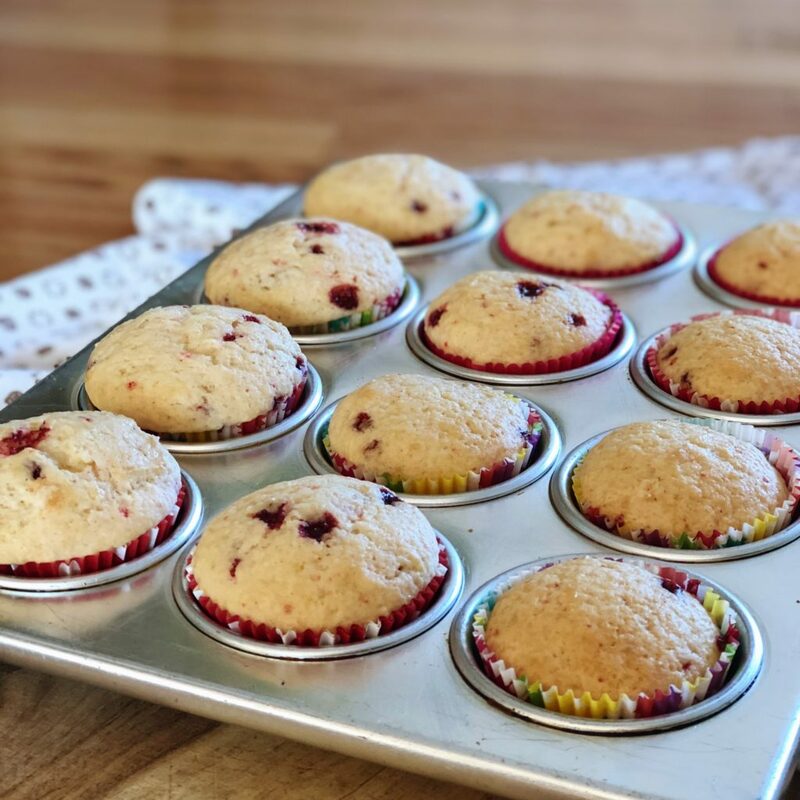 I love a fluffy muffin top, so I think I will justify having two scoops in my kitchen – one for cupcakes and one for muffins. 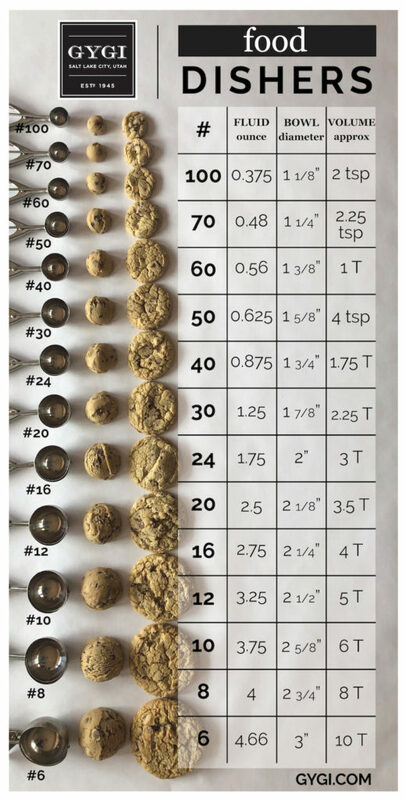 For the mini muffins, I would definitely stick with the #60 scoop. 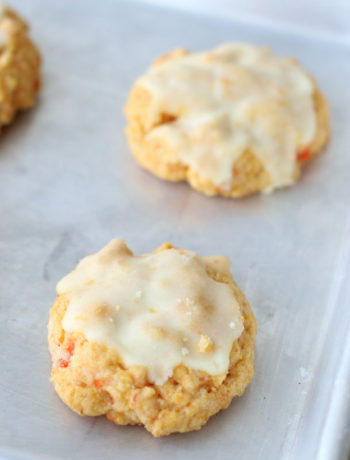 It holds one tablespoon of batter and made the perfect little cupcakes. 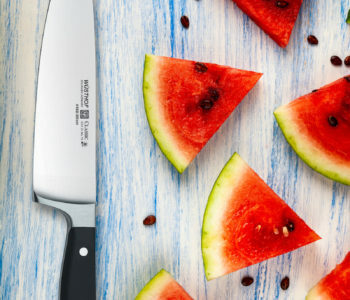 Hopefully this testing helps you decide which scoop to add to your collection of cooking gadgets! Shop our selection of scoops here!